Recently I took a little poll via Facebook about the recipes I create, and if they all seem to be "the same". Lucky for me, I have a bunch of great readers who said they enjoy the blog and the recipes and to not change anything. 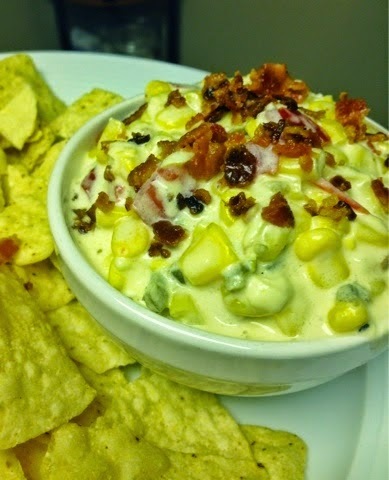 A former co-worker did mention, however, that you can never have too many dip recipes. And boy, is she right. Especially during football season! This dip is so useful because - like any great crock pot recipe, all of the ingredients go right into the pot, and you can forget about it until it's time to serve. 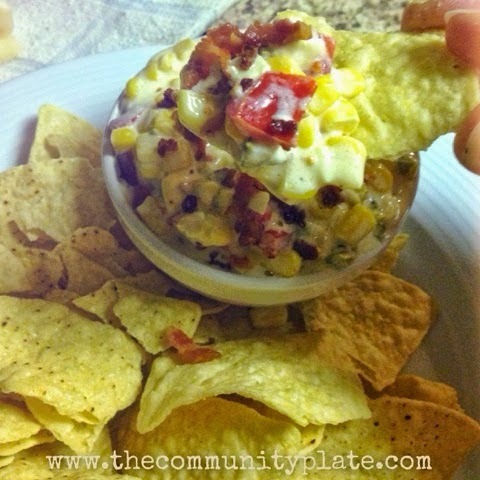 One of my favorite ingredient combinations is corn and bacon - and who doesn't love bacon? 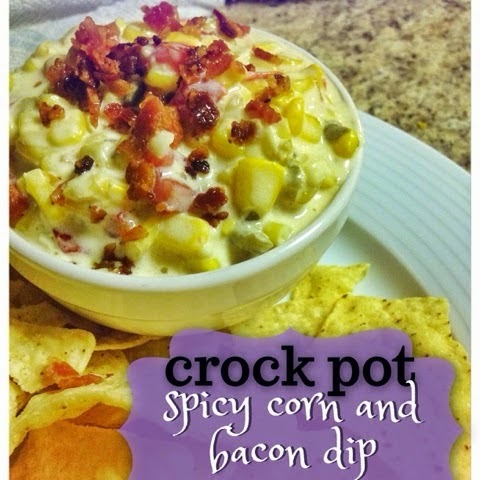 Pair them with a hint of Caesar dressing and the creamy cheese and butter, and you have yourself a perfect warm dip for any tailgate party - and you can serve it right out of the crock pot! Simply add tortilla chips! 1. Start by cooking your bacon in a skillet until crisp. Remove from pan and drain excess grease, leaving one tablespoon. Finely chop bacon. Add all ingredients to crockpot, including bacon and the one tablespoon of grease, and turn on high. Leave for 2 hours, or until creamy and melted, stirring occasionally. You can serve directly from crock pot!